South San Francisco Boys Club was founded in 1953 by a group of concerned citizens who wanted to create a safe, positive place for young boys to go play sports. Erected in 1961, our flagship clubhouse at Orange Park, was dedicated by Herbert Hoover in 1961. 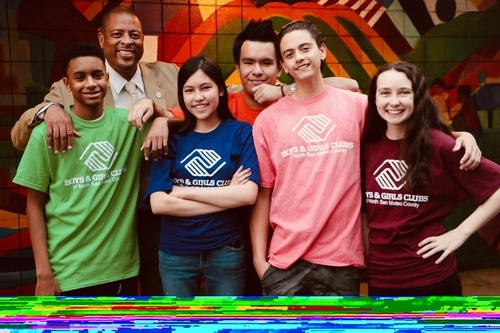 Years later in the 1980’s, the Pacifica Boys Club (incorporated in 1965) would merge with the South San Francisco Club, and in the 90’s we became known as the Boys & Girls Clubs of North San Mateo County. 2 Communities. 5 Sites. 3,000 Youth Annually. The original Orange Park Clubhouse, the Paradise Valley Clubhouse, the Sunshine Gardens Elementary School Clubhouse, the Pacifica Yosemite Drive Clubhouse (former site of the Pacifica Boys Club), and the Ingrid B. Lacy Middle School Clubhouse. We currently serve more than 2,700 youth annually (ages 6 to 18), in programs designed to promote academic success, and physical and emotional health. Well Known, Trusted Community Assest. Our Club Alumni still live and/or work in the communities we serve and work in a host of different professions including teachers, police, business owners, and corporate employees. Our partnerships in South San Francisco and Pacifica span both wide and deep and include both city municipalities, school districts and business chambers; this is strengthened by our Board of Directors, who are leaders in both communities.